8.00 am Rosary 8.30 am Mass (Bilingual). 7.30 pm Mass 8.00 pm Holy Hour. 6.00 pm Sunset Mass (E). 8.30 am Rosary (E) & 9.00 am Mass (E). 5.40 pm Vespers / 6.00 pm Mass. Kindly take note that the Parrish Office will be closed for 3 days, on Easter Sunday (21 April), Monday (22 April) & Tuesday (23 April). If there are any emergencies, please contact your respective BEC leaders. Thank you. Kindly take note that there will be no week day Masses this week (from Monday to Thursday) in our Parish. On 26 April 2019 (Friday), there will be Mass at 7.30 pm followed by Holy Hour at 8.00 pm at the Church of St. Joseph. i) NO CATECHISM classes on Easter Sunday, 21 April 2019. Catechism classes will resume on the 28 April 2019.
ii) On 28 April, the 9 am mass will be animated by the Form 4 learners. Briefing for parents and godparents will be held on 27/04/2019 (Saturday) at 7.30 pm in Room 1. Baptisms will take place on 28/04/2019 (Sunday) at 5.00 pm. We request your kind cooperation to return your Lenten Campaign Envelopes during the weekend Masses on 27 & 28 April 2019. Thank you for your generous efforts. The Archdiocesan Vocation Promotion Team (AVPT) will be organising a Vocation Awareness Camp 2019 to be held from 17 May (Friday) till 19 May 2019 (Sunday). This camp is open to both single males & females between the ages of 18 to 35. For more information, please contract Patricia at 016-6368983, or the AVPT office at: 03-20788828/03-20785089. Parishioners, due to construction works being carried out at the open space outside of the Church compound, kindly park your cars at the open space behind the Church premises in an orderly manner. Your cooperation is greatly appreciated. Thank you. The Extra Ordinary Ministers of Holy Communion will be making a visit to Asrama Cahaya (Bukit Nanas) on 30 March 2019. The above mentioned program is organized by the Peninsular Dioceses in conjunction with the Extraordinary Mission Month 2019, under the theme “Baptized and sent out: The Church of Christ on a mission in the World”. Age limit:18 and above. Attendance is compulsory as certificate of participation is honored for full attendance. Date: 1 – 5 May 2019. Fee: RM 300. Venue: Church of St Anne, Bukit Mertajam, Penang . (Accommodation and meals are provided). Participation is strictly by registration. Registration is based on first come basis, limited space (45 pax). Full payment to be submitted as confirmation of participation. Closing date: 5 April 2019.
i) KL on 23 August (Friday) – 25 August (Sunday), 2019. Register by 8 August 2019. For more information, please contact Mary at 016-4190538 or e-mail to healinggracerachelsvineyard@gmail.com. All communications are strictly confidential. 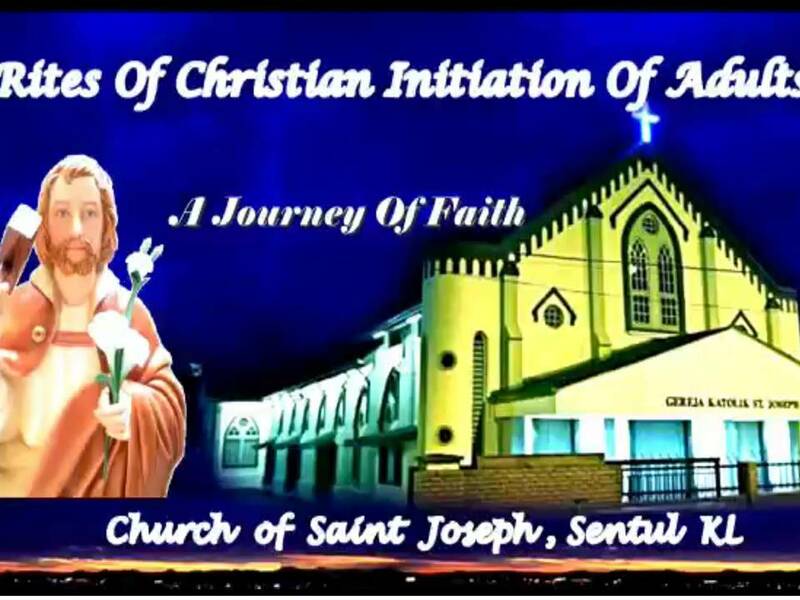 The Church of St. Theresa, Nilai, N.Sembilan, has been designated as a pilgrimage church of the Extraordinary Missionary Year 2019. We encourage parishioners to make pilgrimage to this church during this extraordinary year. 110th Year Commemorative Parish souvenir magazine is available for purchase at only RM10/= per book, at Parish Office. RCIA is a spiritual formation journey, a journey of relationship with Jesus and His Church. If your relatives, friends, neighbours, colleagues or even your spouse want to learn about Catholicism, please do contact our parish office for more information. Discover hundreds of Catholic movies, audio, video programmes and e-books. Any time. Any place. The Catholic Faith On Demand. *Enter your email and create a password (you need this to login later). *Ps. Don’t post it in your Facebook or make it viral.